In the nineteenth century, Americans across the country were mesmerized by “miracle elixirs,” better known as medicine shows, which offered “cure-alls” for everything in the book. Diseases? There was a drink for that. Wrinkles? There was a magic cream for that too. These traveling shows did far more than “heal,” they entertained. Freak shows, magic tricks, and storytelling, among other fun activities, were included on the lists of offerings. For many, these flamboyant events were awe-inspiring – that is, until the country realized these “miracle cures” were almost completely ineffective. Over time, an increasing number of Americans began referring to these big promisers as “snake oil salesmen.” By the next century, most disappeared, as did their outrageous claims. Worrisome national security events that transpired this week have convinced some Americans that SpaceX, a rocket manufacturer and launcher for national security missions, is the magic elixir of this generation — only this time, the “magic pills” in question are not only often ineffective, they’re also affecting the country’s national security. Akin to the once-beloved nineteenth-century miracle workers, SpaceX often tries to entertain onlookers with flashy proclamations. It has pledged nearly unfeasible feats, such as sending humans beyond the Moon by the end of the year and potentially landing spaceships on Mars by 2022 — both of which will allegedly occur on rockets that have either failed to get off the ground or have had trouble doing so. It is not without a sense of irony that the CEO of SpaceX suggested those few who decide to go to Mars may not live to tell about it. It is hard to criticize SpaceX’s public relations strategy. After all, it is competing against some of America’s most prominent companies, so drumming up eye-popping media coverage is a must. But past and possible present operational concerns have led some to seriously question the company. SpaceX attempted to launch a billion-dollar classified government satellite on Sunday, coined “Zuma,” for an unknown government agency. No one knows if it succeeded, but many have expressed skepticism, citing possible errors on SpaceX’s end. There is plenty of reason for concern on the part of SpaceX, primarily because of past issues with the Zuma mission itself. Zuma was initially set to launch in November, but experienced several delays before its Jan. 7 launch. Also of note is that SpaceX’s Falcon 9, the rocket used for this mission, has massive past failures under its belt. Regardless of mission sensitivity, the U.S. government is always expected to shed some light on issues like this one. But this time, a top Pentagon spokeswoman, perhaps a stalwart defender of SpaceX like her former boss, Sen. John McCain (R-Ariz.), refused to comment. She told incredulous journalists to refer all inquiries to SpaceX. Predictably, SpaceX has assured the press that everything went smoothly on its part, similar to how it casted blame on the strut obtained from an outside company during 2015’s Falcon 9 failure. It also refused to rule out the merits of pointing fingers at external forces in another Falcon 9 mishap one year later. It would be one thing if this was a fluke misjudgment on the Pentagon’s part, but government bureaucrats seem to have a track record of hiding SpaceX’s mistakes. For example, during the 2015 Falcon 9 incident, NASA refused to release a public investigative summary, despite originally promising it would do so. Although it put out a report for a competitor’s similar commercial launch which operated under the same NASA program, it kept this SpaceX case study a public mystery. Do certain government officials fear learning the truth? Are they so caught up in Elon Musk’s praiseworthy end-game and objectives that they are willing to cast a blind eye to these seeming problems? Investigations typically take months to years, so it is unlikely that bureaucrats have reached an unequivocal answer already. Yet, as if nothing has happened, SpaceX has said that it will continue full-speed ahead with the launches on its agenda, including the Falcon 9 Heavy — the rocket that will allegedly fuel its quest for Mars despite 4 years of delays and a failure last month. SpaceX may also send astronauts to the International Space Station by the end of 2018. While it is easy to grow starry-eyed and all-believing due to SpaceX’s praiseworthy intent, government officials must remain free of bias when making crucial national security decisions, especially when human lives are at stake. Perhaps it’s time for them to take a step back and let rationality kick in. The magic elixirs of 200 years ago weren’t miracle workers, and neither is SpaceX — at least not yet. 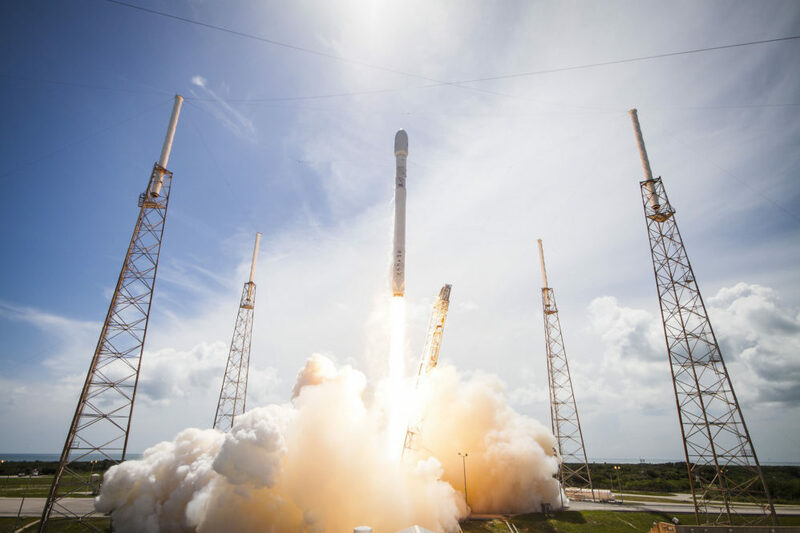 Whether SpaceX can overcome their failures remains to be seen, but it is concerning, to say the least, that American taxpayers have become the guinea pigs who will bear the risks and the costs before a final determination can be made. SpaceX should continue working to improve — and over the past year, improve it certainly has — but not on the taxpayers’ dime. It’s time to put launches from this big dreamer on pause until it demonstrates steady, proven success. Beau Rothschild is the founder of Rothschild Policy and Politics. Beau served as the members outreach director for the Committee on House Administration and helped the 2014 freshmen Republican class to set up offices.